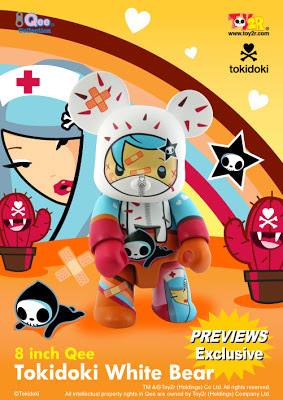 Hey, just in case you've been trapped under something heavy, you may want to remember that TOY2R has released three new versions of the TOKIDOKI 8" Qee Bear. 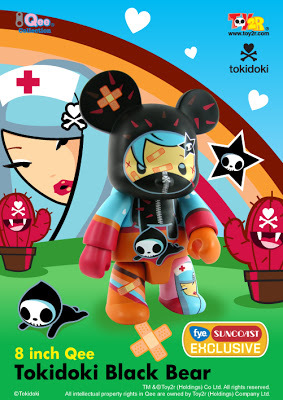 The Black version can be found through Transworld Entertainment Stores which include Suncoast and F.Y.E. music stores. The Red version is exclusive to Newbury Comics and can be purchased in the store or online. Finally the White version was being distributed through PREVIEWS, the Diamond Comic Distributors catalog. Some may still be laying around looking for a home, so keep an eye out to catch one of these limited edition gems before their gone for good!! 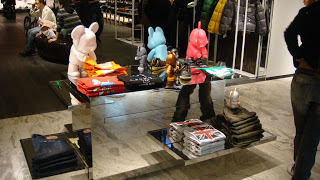 Lane Crawford is bringing the new concept store to Beijing. 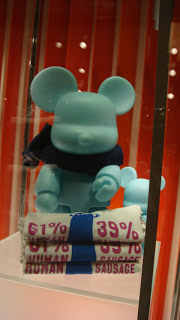 The 25,000-square-meter store in the new Seasons Place Mall in Financial Street. Beijing will make an investment of HK$300 million and will employ more than 300 people. 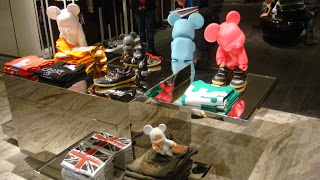 The store will feature over 600 brands, including Prada, Stella McCartney, Givenchy and Toy2r. 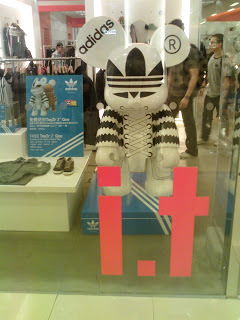 More than half of its brand portfolio will be new to the Beijing market. 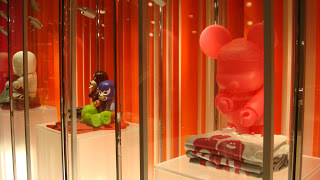 Toy2R wrapped up their stay at the Dimension 07 Exhibit held in Hong Kong. Not only did Toy2R display several items from its vast collection of Qees but there were brilliant displays of more than 250 pieces of artwork from students and professional designers. 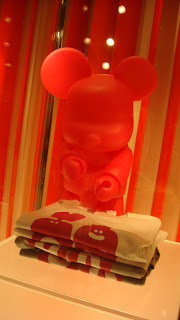 Standing tall was the SIMPSONS QEE line from TOY2R. The first wave of figures has focused on BART SIMPSON and wow what a release. From the Classic Outift 3" and 10" Qees to the recently released MANIA SERIES ASSORTMENT to the upcoming HALLOWEEN FIgures. 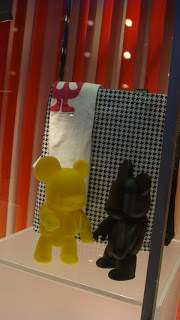 This is vinyl at its best featuring one of the best licensed characters and an entertainment icon. 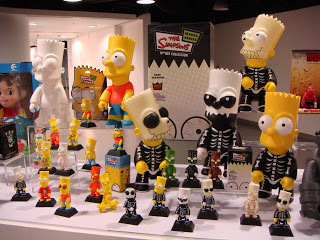 Look forward to seeing more BARTS coming in MANIA SERIES 2 and some limited edition releases of some of the customized 10" Qees fromt he BART SIMPSON WORLDWIDE TOUR!! After that, Homer is ready for his debut.....mmm donuts!! 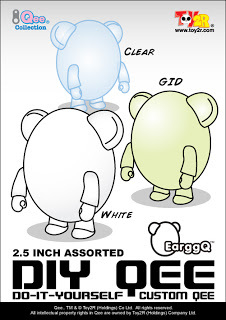 Here's a quick peek at the new QEE design coming out for your DIY creativity in 2008. Available in 2.5" Clear, White and Glow in the Dark versions. 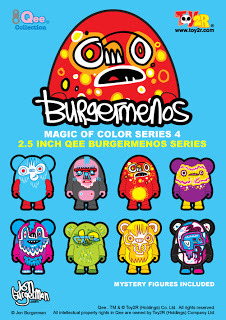 You'll be able to see how the figures look all finished when the new Magic of Color Series 4 drops next month featuring the artwork of Jon Burgerman. Fold, MC Chris, Good Charlotte, members of the Jackass crew and more. 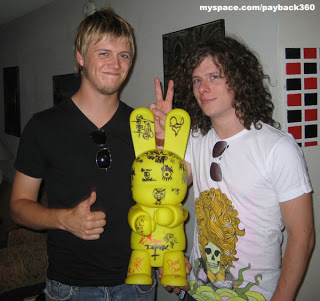 Kevin Sanders and our 16 inch, glow in the dark Qeetastrophe Bunny! 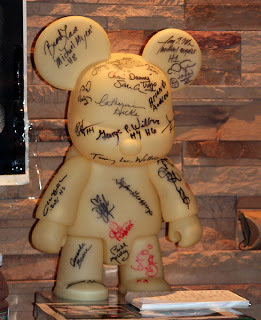 are still gathering some celebs and bands for the final signatures. Gate and the QEETASTROPHE BEAR was invited to come along for the ride! Smith, The Crazy Babysitter Twins of Grindhouse, Angela Bettis, J.
to come in the next 3 weeks! benefiting St.Jude's Hospital, but for now, Check out those vids! All proceeds from these auctions will benefit St. Jude's Pediatric Hospital.